GOLD products are ‘conjugation friendly’ nanoparticles with a proprietary surface coat that greatly enhances colloidal stability and permits easy covalent attachment of a variety of molecules, including antibodies, analytes and other biomolecules. In thecase of immuno-gold conjugates, the antibody can be attached irreversibly without the need for extensive trials at different values of pH and/or salt concentration, as is typical of traditional ‘passive’ binding methods. In the case of analyte-gold conjugates, the multipoint attachment of the polymer to the gold surface ensures that the analyte is firmly anchored. By contrast, direct attachment of analytes to gold surfaces by self-assembly techniques is far less stable and unwanted desorption is a significant problem. 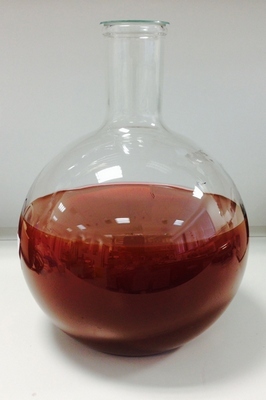 GOLD nanoparticles can be provided in a variety of formats (e.g. 10 OD liquid or as lyophilized nanoparticles) formulated to allow a one-step reaction with antibodies. The kits available are designed for research use and for the development of diagnostic products, specifically for the screening of potential antibodies or small scale ‘proof of principle’ studies. Please contact us if you require any additional information and to discuss your bulk or custom conjugation requirements. step, because it has been developed to provide a concentrated conjugate (20.0OD) and 100% Ab recovery. However, if your customers want to spin the gold colloid I suggest no more than 5-10 minutes at 10,000 rpm in a microfuge each time (no more than 2-3 in total). A comparison between the percentage binding of anti-cortisol antibodies conjugated to 40nm gold particles by a traditional passive method against those conjugated covalently using InnovaCoat technology. All components of this competitive lateral flow assay are identical with the exception of the method used to conjugate the antibodies to gold colloid. External data source. A comparison between the signal intensity, measured on a commercially available lateral flow strip reader, for anti-IgA antibodies conjugated to 40nm gold particles by a traditional passive method against those conjugated covalently using InnovaCoat technology. All components of this competitive lateral flow assay are identical with the exception of the method used to conjugate the antibodies to gold colloid. External data source. 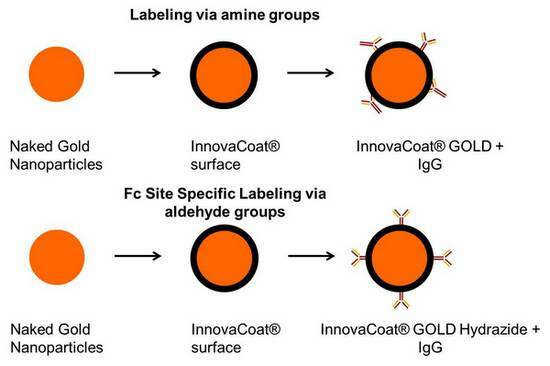 A comparison between the percentage binding of anti-IgA antibodies conjugated to 40nm gold particles by a traditional passive method against those conjugated covalently using InnovaCoat technology. All components of this competitive lateral flow assay are identical with the exception of the method used to conjugate the antibodies to gold colloid. External data source. The graph shows a comparison of test and control line signal intensities between conjugated gold nanoparticles from Competitor 1 or 2 and covalently conjugated InnovaCoatTM GOLD-Biotin on lateral flow test strips. 【奈米金抗體標幟套組】 Lateral flow test其抗體結合效能近乎100%，且不須考量等電點及pH之問題，應用於lateral flow test快篩試驗的開發. Kulik T, Bayer EA, Wilchek M, Kulomaa MS.
University of Jyväskylä, 40 351, Jyväskylä, Finland. Click here for a technical overview. Alkaline phosphatase (AP) is a hydrolyase enzyme that is frequently conjugated to antibodies for use in immunoassays. PNPP is a popular colorimetric substrate for AP; the product of the reaction, p-nitrophenol, can be read at 405nM. Fluorogenic substrates (e.g. 4-methylumbelliferyl phosphate; MUP) may also be employed. InnovaCoat™ GOLD is a unique coated nanoparticle that has an avidly bound protective surface coat which can withstand the most extreme conditions (e.g. 2.5M NaOH at 70oC for ~2 hours). By covalently attaching streptavidin to the surface coat the resulting InnovaCoat™ GOLD-Streptavidin nanoparticles inherit the stability attributes of the core nanoparticle; moreover the streptavidin ligand cannot desorb, which is a major problem with all the competing products in which the streptavidin is directly attached to the metal. InnovaCoat™ GOLD products are‘conjugation friendly’ nanoparticles with a proprietary surface coat that greatly enhances colloidal stability and permits easy covalent attachment of a variety of molecules, including antibodies, analytes and other biomolecules. 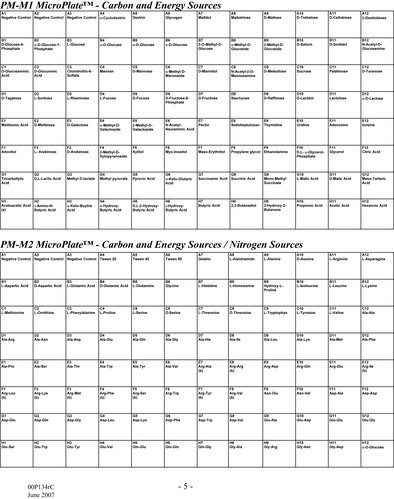 InnovaCoat™ GOLD nanoparticles can be provided in a variety of formats (e.g. 10 OD liquid or as lyophilized nanoparticles) formulated to allow a one-step reaction with antibodies. The kits available are designed for research use and for the development of diagnostic products, specifically for the screening of potential antibodies or small scale ‘proof of principle’studies. 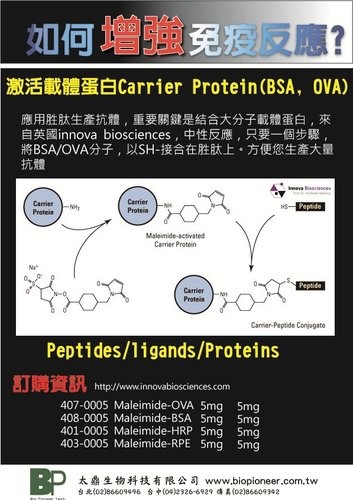 Please contact us if you require any additional information and to discuss your bulk or custom conjugation requirements. InnovaCoat™ GOLD products are ‘conjugation friendly’ nanoparticles with a proprietary surface coat that greatly enhances colloidal stability and permits easy covalent attachment of a variety of molecules, including antibodies, analytes and other biomolecules. unwanted desorption is a significant problem.